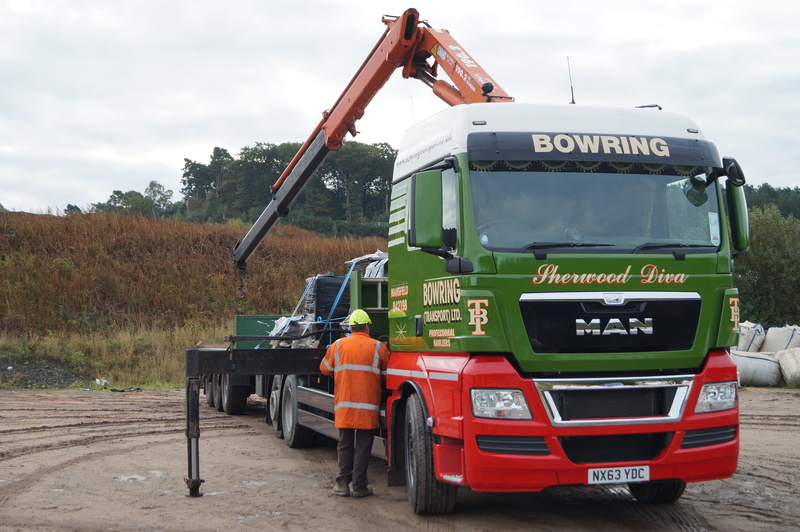 Our fleet includes artic flatbeds, stepframes and lowloaders allowing us to specialise in moving heavy plant and machinery as well as conventional loads. 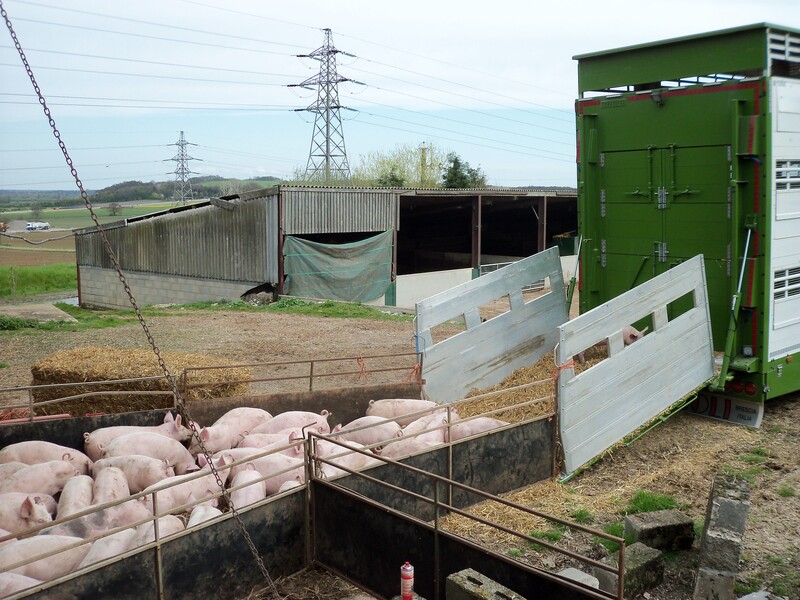 All stepframes are fitted with winches to aid loading and can carry a variety of equipment. 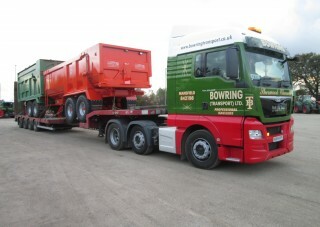 True to our roots, Bowring Transport still regularly transport cattle and other livestock from local farms and markets to abattoirs around the country in our specialist double-decker artic and rigid cattle boxes. We also operate around 20 artic tipping trailers to cope with seasonal crops such as sugarbeet, taken to British Sugar at Newark, and carrots, these are hauled to various destinations including Lancashire, Lincolnshire, Nottinghamshire and Norfolk. 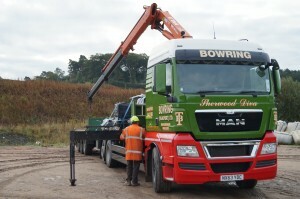 Our rigid six-wheel flatbeds are fitted with front mounted Atlas cranes that have a lifting capacity of 4 tonnes. 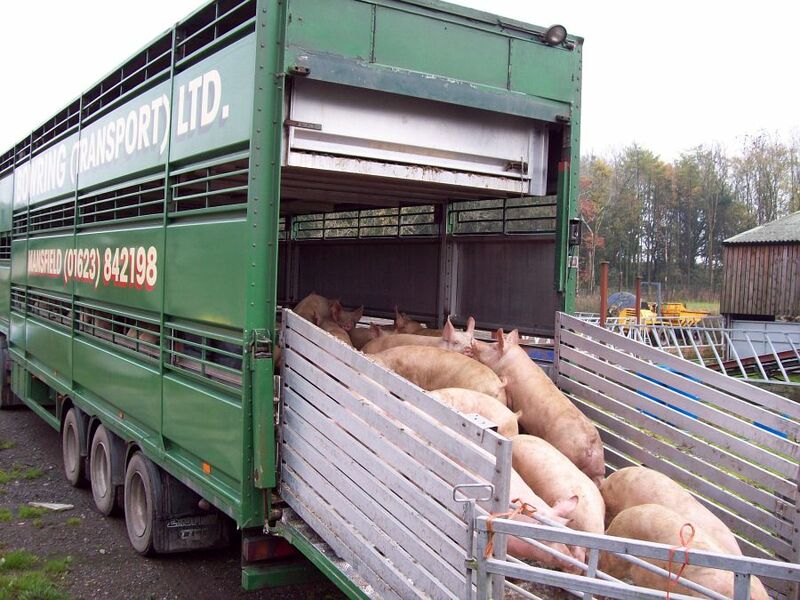 This is particularly useful for customers that do not have access to any loading or unloading facilities. A fleet of 13.6m curtain sided trailers are also operated. These are used to move a variety of mainly palletised goods for a range of customers nationwide. Driver Training – Anniversary Offer!